alumni UBC offers a variety of programming and communications that enrich the lives of UBC graduates by empowering personal growth, supporting professional development, nourishing pride, and enabling contribution. Since its founding in 1917, its goal has been to link alumni with the University and with each other, and to support the mission and activities of the University. We invite you to get involved and combine your energy with ours. Together with UBC, you can help create solutions for the issues you care about. This is your opportunity to make a contribution with long lasting effects. 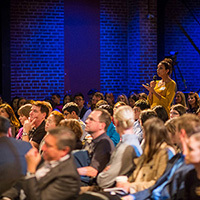 Thought-provoking presentations featuring UBC experts on issues affecting our world; skill-building events aimed at new grads about to enter the world of work; branch events, from pub nights in Toronto to Canada Day celebration in Hong Kong; and more. Keep an eye on our calendar. 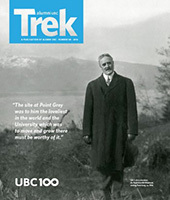 Trek is an award-winning magazine filled with news and stories about UBC and its people. 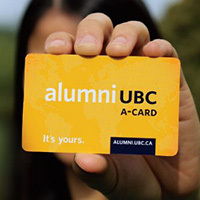 Card-carrying alumni are entitled to discounted goods and services, as well as access to the UBC Library. And it doesn’t cost a cent. You can get in touch with alumni UBC by contacting one of our offices in Vancouver, Okanagan or Hong Kong, listed below. To get a hold of one of the members of our staff, please view the full staff listing. The Wong-Trainor Welcome Centre in the Robert H. Lee Alumni Centre is the first stop for alumni and visitors to campus. Our friendly staff and volunteers will be happy to answer your questions and offer suggestions for your campus visit. In this webinar, Viet Vu, BA'16, MSc, a researcher from the Brookfield Institute for Innovation + Entrepreneurship, will help you understand the impact of automation to Canadian workers and economy and will demystify myths surrounding automation: what it is, how it happens, and what it means for the future of work. Join Miranda Massie, BA'08, Health Promotion Specialist at the University of British Columbia, for this informative session on stress, burnout and workplace wellbeing.